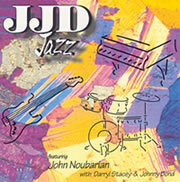 J J D is a collaboration of three fine Canadian jazz musicians from Southwestern Ontario who perform throughout the region both collectively and individually in clubs, concerts, festivals and other venues. 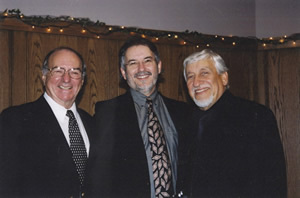 They have played together as a trio for many years as well as having worked individually with some notable musicians from both Canada and the U.S. 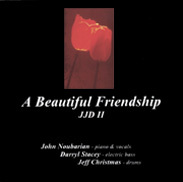 This easy listening jazz CD illustrates the high degree of fine talent and musical ability of the three participants. The instrumental standards show a remarkable fluidity of ideas and improvisational continuity. Of particular note, also, is the warmth, taste, and the ease of delivery displayed in the vocals on three of the cuts.
" I enjoy this CD more each time I listen to it. Congratulations on a first class CD, made in Canada and performed by three great Canadian Jazz Artists ."